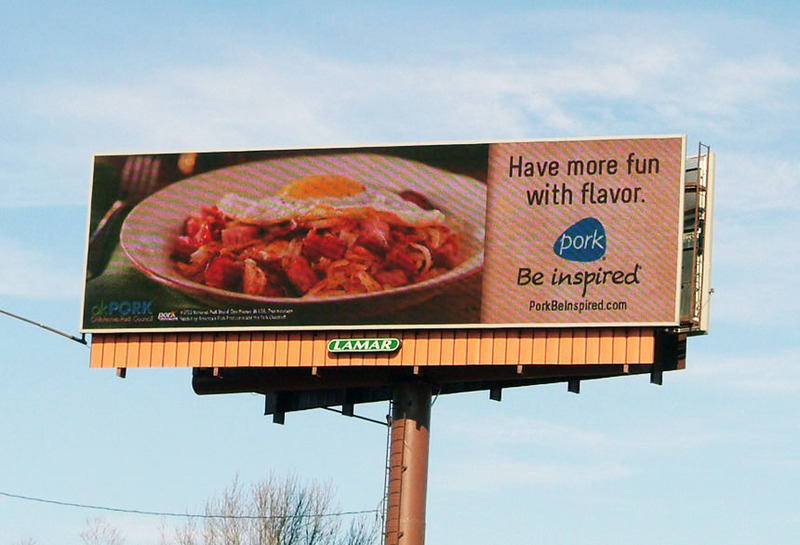 Pork ran a brand marketing campaign using Lamar digital billboards. The image on the left rotated depending on the time of day. This way passing consumers could see different ways to incorporate pork into their diet with each meal and be more inclined to purchase it.